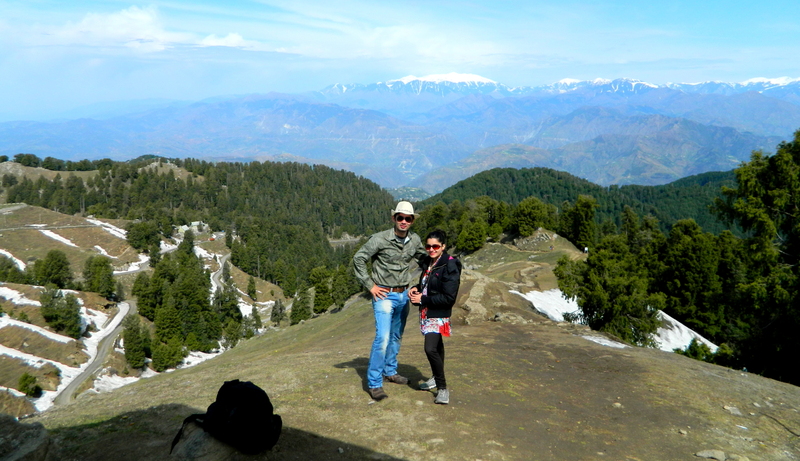 Dalhousie is admired tiny hamlet sort of hill station in Himachal Pradesh, India. It witnesses pleasant temperature & heavy snowfall during winters, infact it’s also known for sudden changes in the temperature. 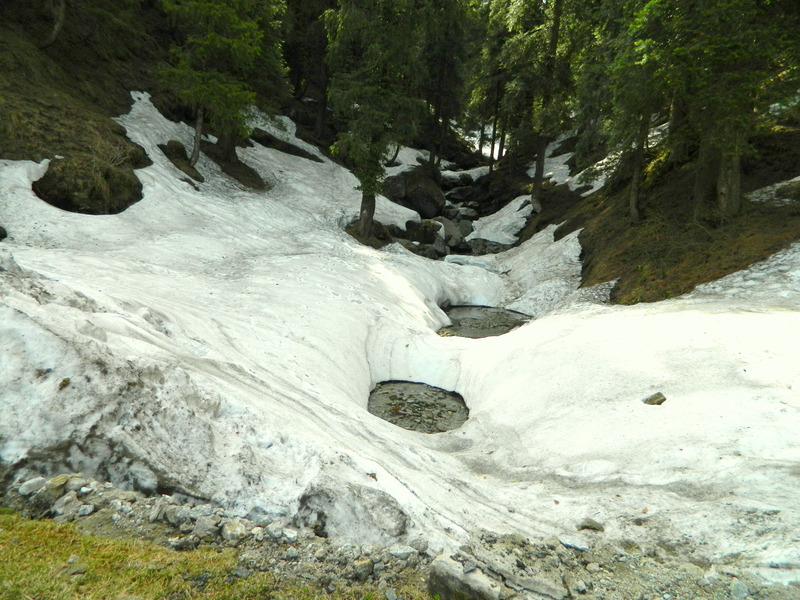 Dalhousie offers you a different environment to calmly enjoy your vacation, there are some popular locations like Khajjiar and Rang Mahal. But that’s the norm, if you are looking for something thrilling then ditch the regular spots and pick more unusual ones like Dainkund Peak. Yes, you heard me ‘Road trip’ to Dainkund Peak – This peak is one of the most understated locations but totally worth exploring; the place has a different charm & unusual sightseeing feel to it – gigantic but quiet mountains, everything decorated with ice and natural greenery, soothing breeze and totally unpredictable weather!!! 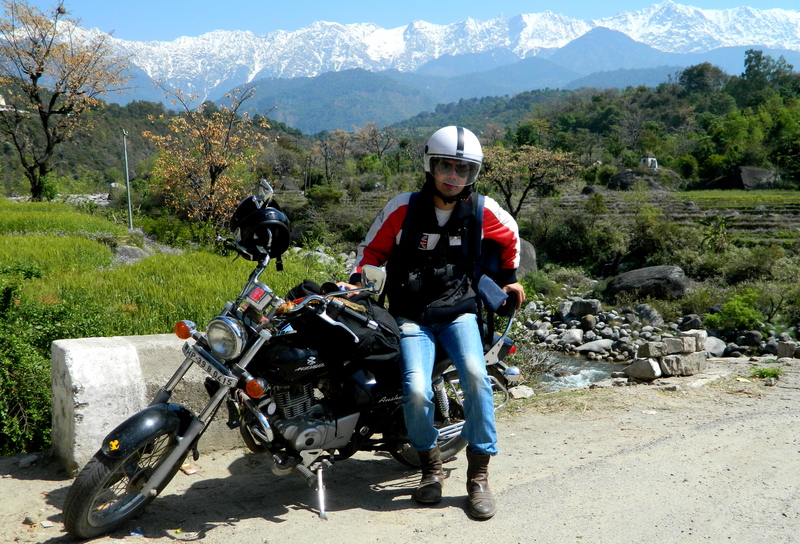 Well, our road trip began right from Mcloedganj, we started our ~125 Kms of journey to Dalhousie in the morning on Avenger. Guys, this has been one of the most romantic and adventurous bike rides we have had. 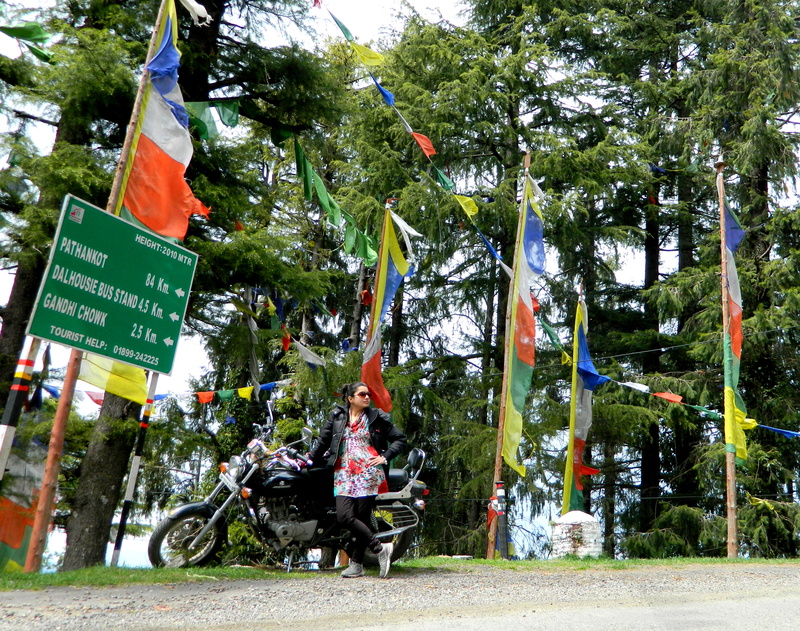 We stopped at several spots to enjoy the view of Dauladhar Range amidst lush green mountains. Almost all the time I could feel it was traveling with us (just like sometimes you feel the moon is following you). 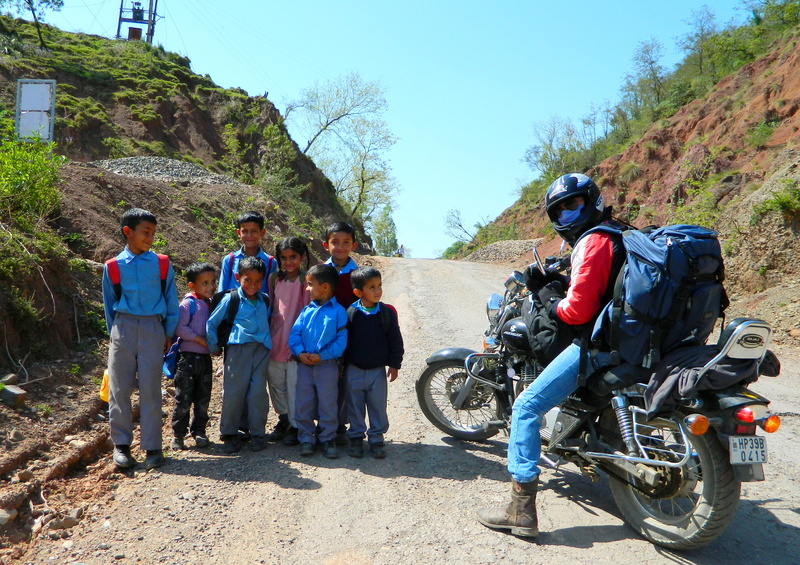 We interacted with the locals, school kids & took some amazing shots but there are few things camera cannot capture!!! That feeling of achieving a milestone of sorts. THRILLING !!! We went to Khajjiar too after we were done with Dainkund Peak but Khajjiar was a little disappointing; It’s like totally over hyped and exaggerated typical tourist spot with Horses and Bhaiyas following you practically everywhere. I mean you are seeking solace and peace on vacation, certainly you don’t want to struggle to even find a quite place to sit and create those special moments. And the encore the lake stinks !!!! So you can cover the location but it’s not that amazing. Go to Dainkund Peak & start a little early, no other place can offer you the view of the valley as Dainkund Peak can, enjoy cherishable moments with your loved ones amidst picturesque beauty!!! And it’s heaven for photographers!!! If you have ample time in your hand, you might want to cover Satdhara Falls, it will add another interesting zing to your vacation. Tips: 1) It’s critical to have physical as well mental strength to enjoy such journeys. So start working out!! 2) Choose a bike after weighing all the facts like condition (old/new/tyres), distance, comfort …. 3) Carry snacks, juices & loads of food stuff, there are literally no dhabas or eating joints; all you will find is sort of eating joints that too after huge distances. Trivia: Btw the legend says in old days the witches haunted this peak & it was also fondly known as Witch’s Pond.